Many many years ago (there was a time when I was really young), I have become a founding member of a “Moscow – Perm Socratic group” (a.k.a. “Maieutics school”) – a collaboration of educators dedicated to promoting the Socratic Method of teaching. One summer our team ran a summer camp for middle and high school students and their teachers. That camp was the culmination of a yearlong work. During a year our team visited 7 or 8 middle or high school, where teams of teachers have been developing their projects to improve their own teaching. We have met each team about three or four times before the all arrived to the camp for the final intensive “training while teaching”. Every member of our team was professionally teaching some school subject (physics, math, chemistry, chess, music, informatics, history, reading and writing), so in the camp we also were giving some lessons, videotaped them, and then had an analytical discussion. To keep ourselves on the topes we have been inventing various assignments for each other. One day everyone had to write a fairy tale! This is the one I wrote. What am I writing this for? Maybe, it would be better to let alone some of the old feelings which rise again sometimes from some of the childhood the memories. But, who would really care, for what reasons would an adult rationalist need to find in this world just something simply light, bright, even foolish? There was the City of Umbrellas, in which lived many Umbrellas. Many different Umbrellas lived in there: some were Big and Black, very important and serious. They walked slowly on the streets and bow to each other when they passed one another. Others were Light and Silly. They had no work to do and were having fun all day long, flying over the streets in small flocks, rushing through the City, flying out of it and then back again. There were many other Umbrellas in this City, which were busy doing their everyday errands and cared only about one thing - that the Strong Wind would not take them away from the City. Light Small Umbrella lived in this City too. 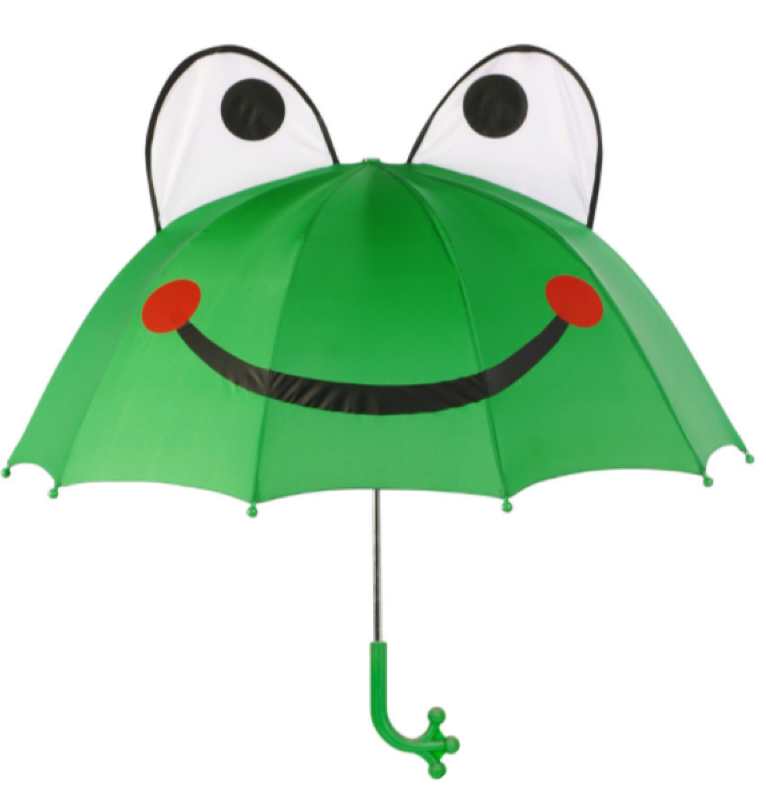 He was very young and all other Umbrellas considered him silly because he liked to bother them with very silly questions. Well what you think may be sillier than a question “Who lives far, very far from our City of Umbrellas?”, or “Can the Strong Wind lift me up and carry me above the whole World, and bring me then back home?”, well and many other nonsenses. He liked to go out of the City and watch clouds. He was frequently looking in the Sky trying to imagine what he would see, if he were to made a flight in this light blue Height? And because he did not look where he was walking very often he was bumping in other Umbrellas, which were busy doing their errands, were returning after work to home to get some rest. Certainly, he annoyed very much all other Umbrellas with all his foolishness. So, other Umbrellas frequently scolded him for his empty and useless imagination. “Become engaged in something useful”, other Umbrellas told him, “or you will grow up with just useless pictures in your head, and no respectable Umbrella will ever give you a bow”. Days were passing by, Small Umbrella looked at the Sky and dreamed, but nothing has changed in his life. Once upon a time, when Small Umbrella has again left City to get to his dreams, he noticed in the Sky several small black dots. “What are those black dots? !”, he wanted to ask other Umbrellas, and even almost ran back to City to ask this question, but then he stopped. “Why would I annoy Big Umbrellas with another silly question?”, he thought and decided to stay. When he looked up again, he saw that the black dots became closer, and then even closer, and Small Umbrella suddenly understood, that those dots are flying on the Sky, and flying directly to him! Ah, how strong he wished to be such Black Dot and to fly, fly, fly above the World! Small Umbrella closed his eyes trying to imagine himself as a Black Dot flying in the Sky. And when he opened his eyes again, there was something strange in the row of flying Dots. All Dots but one were flying forward in a straight line keeping the same distance from each other. But the last Dot for some reason was slightly lagging behind the others. The longer he was looking at the Dots, the clearer it was to him, that last Dot really flew slower and slower, becoming more and more away from the other Dots. Suddenly Small Umbrella realized, that this last Dot was not only lagging behind the others, but also was becoming bigger and bigger. Never in his life Small Umbrella ran so fast as that day. He was flying so fast like he had strong wings. It’s been a long time since Small Umbrella found the Citizen of the Sky. He was standing afar and looking at the Big White Citizen of the Sky who was lying on the ground, motionless, and only light breathing would show that she was a living being and not a big white fluffy stone. The big White Citizen of the Sky slowly lifted her head and looked at Small Umbrella with her big deep eyes. After waiting for a while, she took a deep breath and she said slowly in her quiet voice: “No, Small Umbrella, I didn’t. I didn’t fly here to visit you. And I am not the big white citizen of the sky. I am a bird. I was fling with my drove to reach Distant Edges. But I have become too weak, and could not fly as fast as other birds of my drove. My energy began to leave me, and I began to fall”, the Big White Citizen of the Sky sighed and lowered the head back on the ground. “If I wasn’t ill and had some rest, I could catch up with my drove. But the Strong Wind flies right behind us. He will catch me here very soon and will bring cold and rain, and I will become even weaker than I am now”. What she said was the truth. Small Umbrella was already feeling the approach of the Strong Wind. Small Pushes, harbingers of the Strong Wind, have already begun touching him with their cold hands and to push him to his house, and to splash on him small droplets of water, showing the beginning of rain. But that did not make him run away. “I shall help you, Big White Bird!”, proudly said Small Umbrella. “I shall close you from the Strong Wind!”. Shivering, whether because of the coming cold wet strong wind, or because of his fear he would be blown away, he covered the Bird with himself. Soon Small Pushes have moved away, the air has stiffened, motionlessly and threateningly enveloping all around. “Dear Mom, help me”, Small Umbrella thought, and at this moment the Strong Wind struck him giving the first strong punch in his back. Then again, and again. The Strong Wind blustered and howled, and it was just a miracle that Small Umbrella kept himself in his place, covering a motionless Bird from the Shrieking Enemy. “I must do it, I must do it” – that was the only though Small Umbrella could think off, and kept standing on his legs. The Strong Rain struck Small Umbrella, and he did not know and any more, whether these those tiny drops running down his cheeks were his tears, or it was the Rain which tried to get to his new Friend. This time the Strong Wind made a bigger racket in City of Umbrellas than it usually did. After the Strong Wind moved away, flew toward other Cities to bring a havoc to their Citizens, many Umbrellas who were caught in the streets had to treat their bent spokes. “I am tired, I am so tired”, Small Umbrella quietly said to himself and sit on the ground. It was difficult for him to keep standing. He covered his small dome. Then he closed his eyes and fell asleep. When he woken up, the Sun has already dried up his clothes. He opened his eyes, and saw Big White Bird, here she was, sitting by him, big, white, and strong again. “You helped me, lovely Small Umbrella”, she said. “You saved me from the Wind and the Rain. I had my rest and gained my strength and shall manage to catch up my drove. You are very brave, courageous and strong, Small Umbrella. And kind. Thank you, my Friend. And now I should be hurry up”, and Big White Bird spread her wings, waved them and flew up in the Sky. “Good-bye, Small Umbrella!”, those were the last words falling the blue Height. Soon the Bird has turned to a small dot, and then she disappeared. Many days and night have passed since the day when Small Umbrella met Big White Bird. The Citizens of the City of Umbrellas have forgotten the day when Small Umbrella has suddenly gone crazy and ran through the City like a mad mugger fleeing the law. Once in a while Small Umbrella still looked in the Sky, sometimes he still dreamed about how it would be great to flying in that deep blue Height. But he was remembering his Big White Bird visitor less and less often, and by some reason, every time when he remembered her, together with this memory and with the feeling of pride for some reason he also had any strange feeling of sadness and melancholy. Because of this feeling every next day he thought about the Sky even less than before. “Look at our Small Umbrella”, told Big Umbrellas to each other, “he stopped bothering us with silly questions and almost never bumps into as any more when we walk. Soon he will grow up and will mature and will becomes absolutely normal regular average Umbrella”, they were saying to each other with a deep satisfaction. But Small Umbrella saw nothing and did not hear a thing. He was running again as fast as he could. He had to help his Friend! But for some reason, this time Big White Bird did not lay on the ground, she stood calmly and her smiling eyes looked at Small Umbrella. “Hi, Small Umbrella”, said the Bird joyfully. “You do not have to help me this time, because I am strong and healthy and not looking for help at all. I flew here to see you. You see, on that terrible day you became my Friend, and I wanted to see you again”. Small Umbrella burst in a laugh, but that because he felt himself very happy. He has a Friend - the Citizen of the Sky is his Friend! He has never could even dream about that to happen! And Big White Bird continued to speak. “I want to show you my World, Lovely Small Umbrella. If you are not afraid, get on my back, and I shall rise you in the Sky, and we shall fly together all around the World and we shall see how big and beautiful it is”. “Thank you, Big White Bird”, that was all Small Umbrella could just manage to say because he was overwhelmed with the feeling of happiness and joy, so strong that all the words have been feeing his mind, as if they blown away by the Strong Wind and were washed out by the Strong Rain. He walked to Big White Bird, stroked her fluffy feathers and cautiously climbed on her back. Big White Bird spread her wings, waved them and soared up in the Sky. They flew above the World and laughed in happiness. Rivers and seas, fields and forest, Cities and mountains had been laying down under them. The glorious beauty of the World opened to Small Umbrella. He felt, like he himself was flying in the deep blue Height, and his Friend was by his side, the Friend who will always help him if he gets in troubles, and the Friend who he, Small Umbrella, will always cover even from the Most Strongest Wind. When they returned to the City, there was night. No one noticed that Small Umbrella was not in the City a long time. When they were again on the ground they didn’t say much to each other. “Thank you, Big White Bird”, whispered Small Umbrella to Big White Bird. “Thank you, Small Umbrella”, whispered Big White Bird to Small Umbrella. And with one strong move of her wings, she rose in the Sky and flew away. The Bird has flown away. But the feeling of joy, pride and happiness staid with Small Umbrella because he knew - they will meet again. You see, true friends will never abandon each other. This poem was written relative soon after I moved to the U.S. (3 to 5 years after?). Once, one of my students found it on the Internet and asked me why did I want to pass away? I said to her what I say to you, this poem was just an exercise in English. I was not working double shifts as a janitor at a Shaw’s Supermarket any more. I had a good stable job; my son has become a university student, everything was good. But as someone with the experience in student theater, I was just using my imagination (plus, I am an atheist, the one who does not believe in the existence of a supreme leader of the World, but just believes in World). So, don't read too much into it. I do not like this world. and kids have mom and dad. or far away at least. and kids fly in the sky. from world that’s ruled by sword. Where all are blessed by “Lord”.